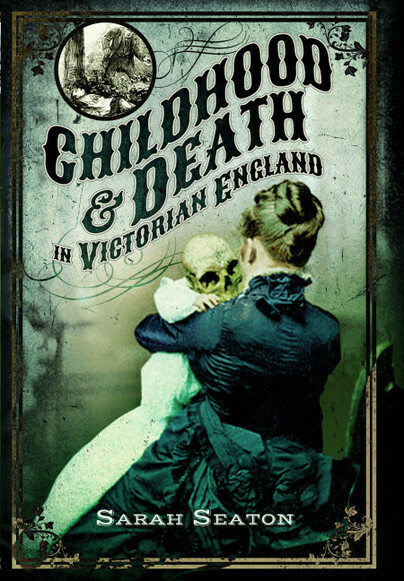 You'll be £5.20 closer to your next £10.00 credit when you purchase Childhood and Death in Victorian England. What's this? In this fascinating book, the reader is taken on a journey of real life accounts of Victorian children, how they lived, worked, played and ultimately died. Many of these stories have remained hidden for over 100 years. They are now unearthed to reveal the hardship and cruel conditions experienced by many youngsters, such as a travelling fair child, an apprentice at sea and a trapper. The lives of the children of prostitutes, servant girls, debutantes and married women all intermingle, unified by one common factor – death. Drawing on actual instances of Infanticide and baby farming the reader is taken into a world of unmarried mothers, whose shame at being pregnant drove them to carry out horrendous crimes yet walk free from court, without consequence. For others, they were not so lucky. The Victorian children in this publication lived in the rapidly changing world of the Industrial Revolution. With the introduction of the New Poor Law in 1834 the future for some pauper children changed – but not for the better. Studies have also unearthed a religious sect known as the ‘Peculiar People’ and gives an insight into their beliefs. This book is not recommended for those easily offended as it does contain graphic descriptions of some child murders, although not intended to glorify the tragedies, they were necessary to inform the reader of the horrific extent that some killers went to. This book will appeal to anyone with an interest in the social history of the Victorian period. This fascinating, if grim, book researches the ways that children died [and thus by implication lived] in the period 1800 -1901. Its primary source is the reporting of publicly held inquests and court proceedings in newspapers. Deaths from accidents in the home and at work can be attributed to a lack of any regard for the safety of children, or of the working poor in general. Unregulated child labour, insanitary and unsafe housing and a lack of adult supervision left children vulnerable. Legislation and compulsory education reduced mortality; a reminder of the necessity of legal protections for working people and their families. Further reasons for childhood deaths relate to morally motivated legislation and the economic value of children: The ‘Bastardy’ clause of the 1834 Poor Law act placed all responsibility for illegitimate children with the mother. This coupled with the stigma, likely loss of job and home, meant that concealment and infanticide were rational and expedient remedies. Despite many philanthropic movements, it also led to a lucrative business in farming and adoption though which many children died of neglect and starvation. Finally, there murders of children, usually by close family members. These are different in that although much has changed in the lives of children since Victorian times, these deaths resonate with current times, and seem ageless. This is an excellent history of childhood deaths, and there is still plenty to be learnt, and this is only the beginning of that education. This book has been well researched, well written and an engrossing read, and you will learn something on every page. The scandalous way in which poorer people's lives impacted on their children and their brief, unhappy lives is brought into stark reality in this amazing social history by Sarah Seaton. An interesting and easy read. Beyond its morbidlurid cover, Seaton unloads information about fatal child labor industrial injuries (involving children as young as 4, yet an average of 9-10 year-olds), accidents, death while in poverty, murder homicides (sometimes involving kidnapping), and death in infancy between 1800 and 1901. In this fascinating if gruesome book, author Sarah Seaton takes the reader on a journey of real life accounts of Victorian children, how they lived, worked, played and how ultimately they died. 1834 the future for some pauper children changed – but not always for the better. This book is not for those easily offended as it does contain graphic descriptions, but it will appeal to anyone with an interest in the social history of the Victorian period.